How Much Will An Electric Car Cost To Run? Electric cars are the latest sensation in the automobile industry. These vehicles have similar characteristics as that of the petrol and diesel cars, the major difference being that electric cars are propelled by one or multiple electric motors instead of a gasoline engine. These Electrical Vehicles (or EV) use electrical energy stored in it’s rechargeable batteries which render the power to navigate the vehicles on the roads. The predecessor of Electrical Vehicles was Hybrid Vehicles (called EV) which were fuelled by gasoline however used a rechargeable battery powered by electricity. Electric car costs are slightly higher than fuel powered cars are exclusively powered by electricity. Why are electric cars gaining popularity by the day? Earlier, Electric Cars had not been widely popularized because of long charging times, limited driving range and power and a marked difference between them and fuel powered cars in terms of proving the comfort of travelling. However, in the recent times with the improvement in the battery technology, electric cars are not vested with more energy and a reduced running cost. The latest models of electrical cars have demonstrated that they can be as powerful, safe, and comfortable as their equivalent diesel or petrol counterparts. Electric cars has negligible to nil greenhouse gas emissions and do not contribute to air pollution. The cost of refuelling an electric car is simply a fraction of that for fuel powered cars and it’s maintenance costs are much less as compared to the most fuel efficient gasoline cars currently available in the market. How are electric cars charged? Electric Cars are equipped with a standard charging cable which plugs via a domestic plug, which you would generally find in your TV, microwave or phone charger. All you need is a normal wall socket and therefore, you can charge your electric car anywhere in your driveway or your garage, as long as you have an outdoor wall socket. All you need to do is get a qualified electrician to confirm that the wirings are sturdy enough to accommodate high amount of electrical drawing. The car charging cables provided by the manufacturers are not very long and an extension plug in should never be used to charge your electric car. The average charging time is about six to eight hours for an electrical car with a range of 100 miles. Surveys show that more than eighty percent of the Europeans drive their vehicles for about 63 miles in a day and the daily distance on an average is approximately 25 kms. This implies that most of the motorists in Europe only require charging their vehicles at home. However, if you are looking to speed up the lengthy process of charging, you can consider installing a home charging unit which can expedite the charging process to about two and a half times faster. The charging units for your electric car costs approximately GBP 800 to 1000. What are the running and maintenance costs of an electrical car? As compared to the fuel powered cars, electric car costs can range from 15% to 50% more than the standard cars. The major reason for this is that electric cars use lithium in their batteries. Lithium has been an expensive element owing to the fact that it has never been used in large quantities before for any kind of manufacture and therefore, is taking a while to expedite the supply. However, where an electric car really saves money is on the running cost. If you own a typical electric car and drive approximately 8000 miles in a year and charge it overnight, you will spend about GBP 80. You need not pay road tax if you own an EV. If you live or work in the central part of London, you need not pay the congestion charge. Additionally you get free parking and charging facilities in many cities and towns of the UK. Electric cars are simple to maintain. One of the most famous electric cars in the UK is the Nissan Leaf. This electric car costs approximately GBP 11 a month against it’s maintenance. If this is compared to the maintenance of a standard fuel powered car, you save about GBP 230 every year. 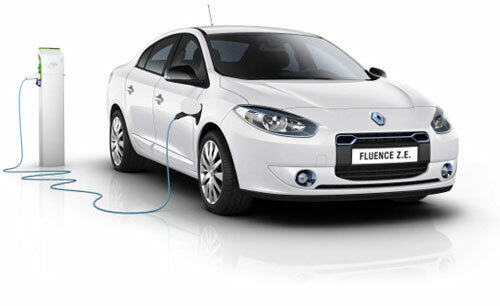 Company car owners can hugely benefit from swapping to electric cars. They do not need to pay any benefit-in-kind liability or any the other additional taxes which means that they could save about GBP 300 a month and a total figure of GBP 5000 in a year by virtue of simply driving an electric car. Moreover, the car depreciation value of electric cars is much higher as compared to it’s gasoline powered counterparts. For example, a three year old Nissan Leaf is predicted to retain it’s 47% value, which is quite an exemplary figure as compared to the other pre-owned cars. The best part about buying an electric car in the UK is that the Government had been offering a subsidy of GBP 4500 on a number of electric cars such as the Nissan Leaf, Tata Indica Vista, Citroen C-Zero, Mitsubishi i-MiEV and the Peugeot iOn. The Nissan Leaf is currently the highest selling electric car in the world and some of the other models of electric cars such as BMWi3 and Tesla Model S are exhibiting increasingly sophisticated, cohesive and high performance technology. Sale of electric cars is growing in leaps in bounds over the past three years and the electric car costs are coming down as well. The Society of Manufacturers and Traders have reported an overall growth of 65% in the overall sale from 2014 to 2015. If this technology can be popularized across car owners around the world, by 2035, we can save 1.5 million barrels of fuel each day. Technology is on it’s way to become more enhanced and less costly and with the active involvement of the UK Government towards reducing air pollution and meet with it’s target carbon dioxide emission targets, the future of electric cars have never looked brighter.